Win-win or no deal: Only agree when you are both happy. In the previous posting I gave you ways to create reading,writing, and Math goals that you can both agree with. The goals you set decide your success. The more thoroughly and seriously the goals are decided between you both, the more you both will take the coaching seriously, and when the inevitable moment comes that you both find it harder to work together, you will still persist because you both want to reach those reading, writing, or Math goals so much! So take all the negotiation time necessary to create reading, writing, and Math goals with your child, and any other goals you both want them to reach. Then take your time agreeing to a deal that works for both of you. How many minutes/hours/days will we work together? What happens if we don’t coach the amount of time we agreed upon? What happens if we coach all the time agreed on? What reading, writing, Math skills do we cover? How many reminders it is time to coach together? Who is responsible for what? E.g. who reminds, who sets out the coaching gear, who organizes the work to be done. Only give your child responsibilities they can handle successfully. The general rule is: The older they are – the more responsibilities they can handle successfully. You will know when you have a win-win agreement. Negotiating goals and how the goals will be reached (the deal) can take from an hour to a week or more. Wait for the moment when you both are happy about how you will both work consistently towards reaching the reading, writing, Math and any other goals. Maybe your child is not happy about every part of the deal. They mightn’t want to read more or complete more Math problems, or learn spelling words at first. However they are happy about enough parts of the deal to work in a solid win-win coaching partnership with you. Make sure you can meet your end of the deal. For example that you can coach when you said you would, and be able to coach with respect. Check out this post for more ideas on how to set reading, writing, and Math goals and deals with your child. Buy The Guide and get more information about how to work with your child. 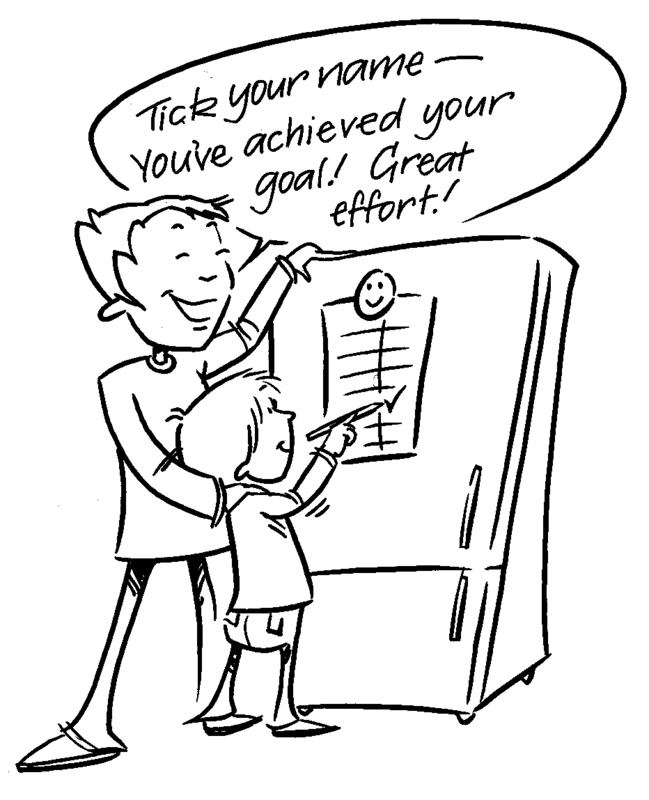 Posted by annethecoach on 20 February, 2013 in coaching, Math, reading and writing skills and tagged coaching your child, goals for your child, Math, teaching reading, writing skills.